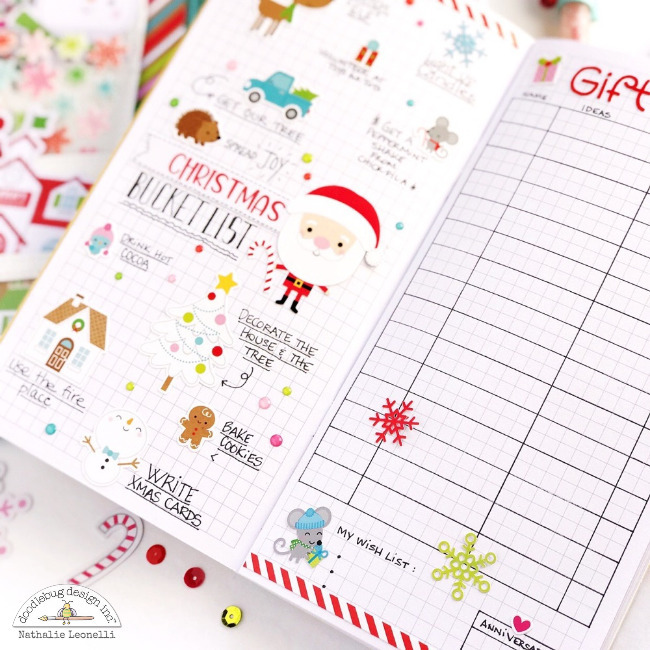 I am so excited to finally share my Daily Doodles travel planner with you which I had so much fun filling up with the new Christmas Town collection! I love the colors in this collection, especially the kraft base. 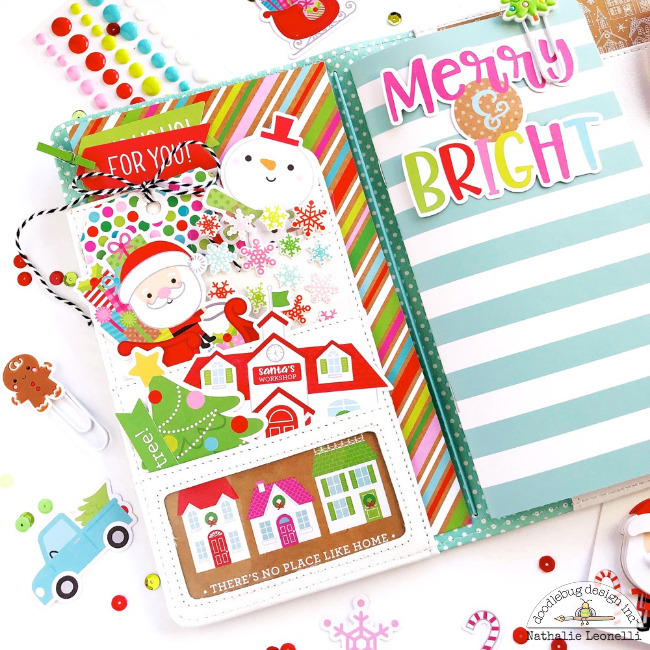 The embellishments are so cute, whimsical and varied, you will love decorating your notebooks with it! 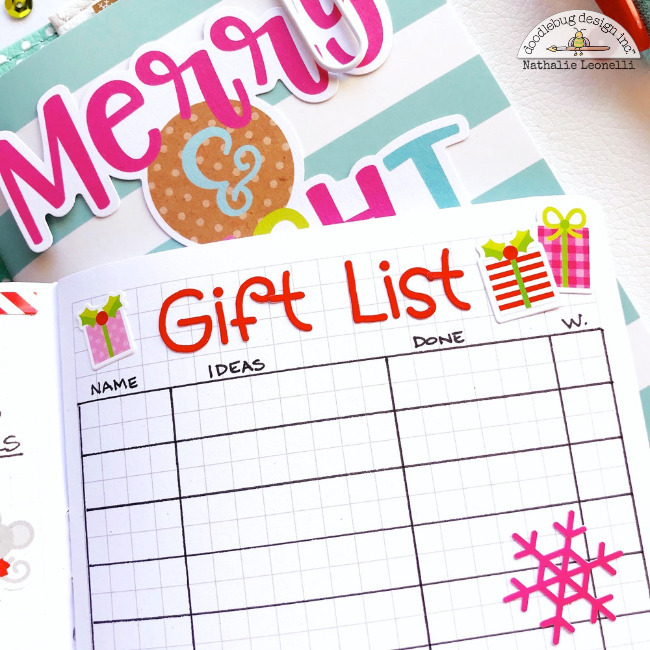 For the gift list, I made a table with a black marker (super easy thanks to the grid design!) with columns for names, ideas, done and w. for wrapped. I added the title with some Teensy Type alpha stickers in Ladybug and decorated the rest of the page with some Mini Icons and Icons stickers. On the left page, I made a "bucket list" using more Mini Icons stickers to illustrate a list of things I want to do during the Holidays. 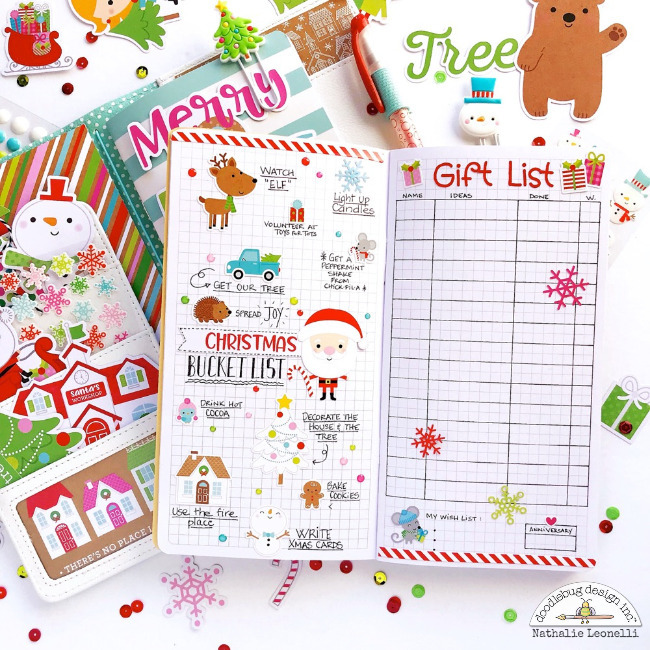 For the title in the center, I combined a diecut from the Chit Chat pack with my own handwriting and a Santa sticker (also from the Mini Icons sheet). This was fun and now I am very much looking forward to December! 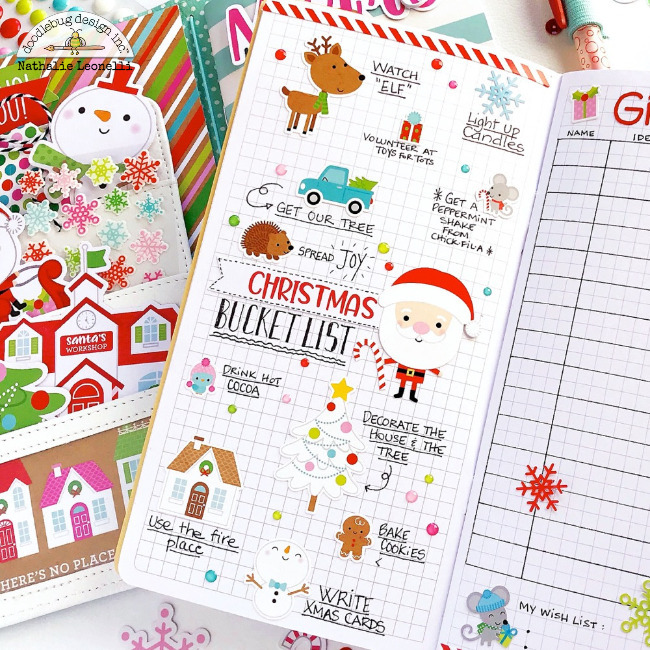 Here are a few more things that I am planning to add in this insert: a spot with everyone's sizes for clothing purchases, a list for Christmas card writing/mailing, a to-do list, a calendar with events and deadlines, menu/treats ideas... and of course, they will all be embellished with Christmas Town! I fell so motivated thanks to my notebook and this new collection and I hope to have inspired you to get creative and productive as well! I love the bucket list idea!! So cute!! This is just perfect Nathalie! !